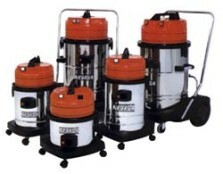 SPILLVAC and INTERCEPTOR KITS NEVADA WET & DRY INDUSTRIAL VACUUM CLEANERS The Nevada range of wet and dry vacuum cleaners offer a larger capacity to suit more demanding applications within all industries. There is a choice of two or three motors which can be activated individually to give the correct suction level for each job. The larger models feature an integrated trolley to ensure complete mobility and a unique tipping feature for ease of emptying. 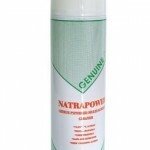 The powerhead and wheelbase are manufactured from ABS plastic and the canister is stainless steel. Each vacuum is supplied complete with an accessory/tool kit. Please contact us regarding this item.